The vast MAJORITY of people and businesses are struggling to ACHIEVE what they want today. Research shows it's the MINORITY , the few who are goals driven, who continuously set and achieve goals, who stand the best chance of success. b) know how to apply them to create your own success. These five steps are as below. If you have a goal you would really like to achieve NOW I suggest you work your way through each step ,one at a time. Step 1. Decide what you truly want. All success starts with knowing what it is you want to be, have or do. To lose weight? Travel the world? Write a book? To earn more money? Be happy? Improve your business? Whatever it is, your starting point is to identify it! If you are not sure about what you want, get yourself a pen and paper and put some time aside to do an overall assessment of your life. This will give you a clearer handle on how your life looks right now and what needs to change. If your life isn't how you want it to be don't worry - that's true for most of us. Just set some more quality thinking time aside, begin the process of change and create an alternative and exciting vision for your future. When you have taken both of these steps, you will have a much clearer idea about what it is that you really want for your life and will be raring to go! Step 2. Set a clear goal & write it down. If your goal is relatively straightforward you can use the highly popular 'smart goals' technique, or some other simple goal setting process, to set your goal. 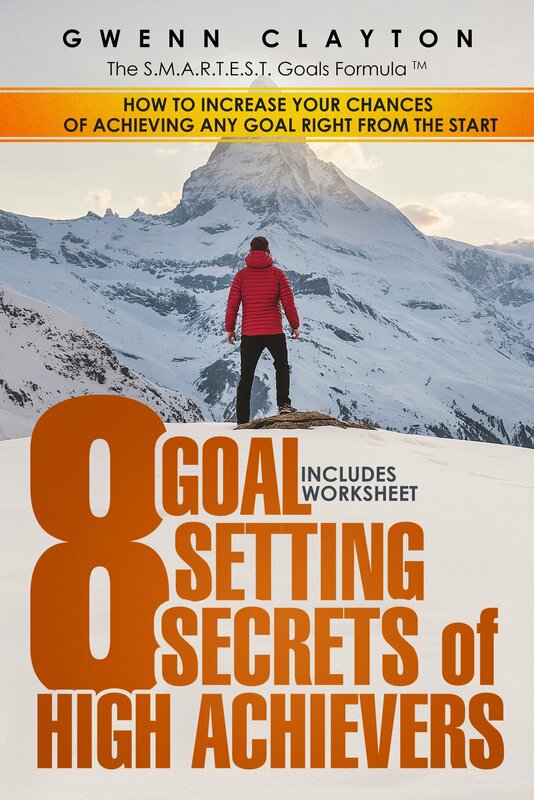 The Smartest Goals Formula™ is a world class goal setting technique based on solid and extensive research. Want to know the most important questions high achievers ask themselves right at the beginning of any new goal so that they DO NOT waste their time, money or resources? You'll learn that too. Step 3. Get your unconscious mind onboard. You must saturate BOTH your conscious mind and your unconscious mind with a clear picture of what it is you want to achieve – and you must keep that picture in mind every day! You can do this in many different ways - vision boards, affirmations, mind movies....to name a few. Choose the ways that most appeals to you. All are powerful. Step 4. Have a plan & take massive action. You have a clear goal and you have begun to visualise achieving your goal. The next step is to put together a practical plan and start to take action. Dreaming, wishing and thinking about your goal will never be enough. To do this you must break your smart (or smartest goal) down. Ask yourself what do you want to achieve this year? You will find the free printable planners on this website will help you break down your smart goals so that you can make them happen. Once you have your plan in place it's now time to take action - lots of it. You will achieve nothing until you do. Sign up for my newsletter and I'll give you TONS of FREE tips, tools and motivation to help you do this. Remember though - keep your focus on what it is you want. Here's a couple of ideas to keep yourself motivated along the way. Step 5. Keep learning. Change as required. Whichever it is, you must pay close attention to the results that you are getting. You must LEARN along the way, it is part and parcel of all success, AND you must demonstrate lots of flexibility! You may also like to read some of the articles below.